The Heart Research Institute is located across two campuses. 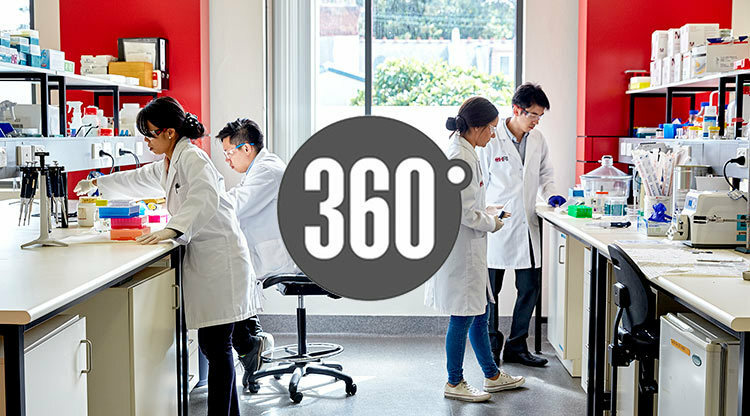 Our original Eliza St campus in Newtown, Sydney encompasses a purpose-built facility, designed to support groundbreaking research into cardiovascular disease. Opened in 2009 by Australia’s then Governor General Quentin Bryce, the building provided unrivalled scope for groundbreaking research and further expanded the capabilities of HRI. The laboratories – split over two levels – provide research space for more than 150 scientific staff. In 2015, HRI established research laboratories on Level 3 of the Charles Perkins Centre, The University of Sydney, Camperdown. With a shared vision and research philosophy of the Centre’s name-sake, HRI scientists join like-minded research activities across The University of Sydney and its affiliated medical research institutes, tackling the increasing burden of diabetes, obesity and cardiovascular disease, through innovative research collaborations, research partnerships and teaching, both at undergraduate and postgraduate capacity. Take a walk through our world-class research facilities at Eliza St to see where our groundbreaking discoveries happen.